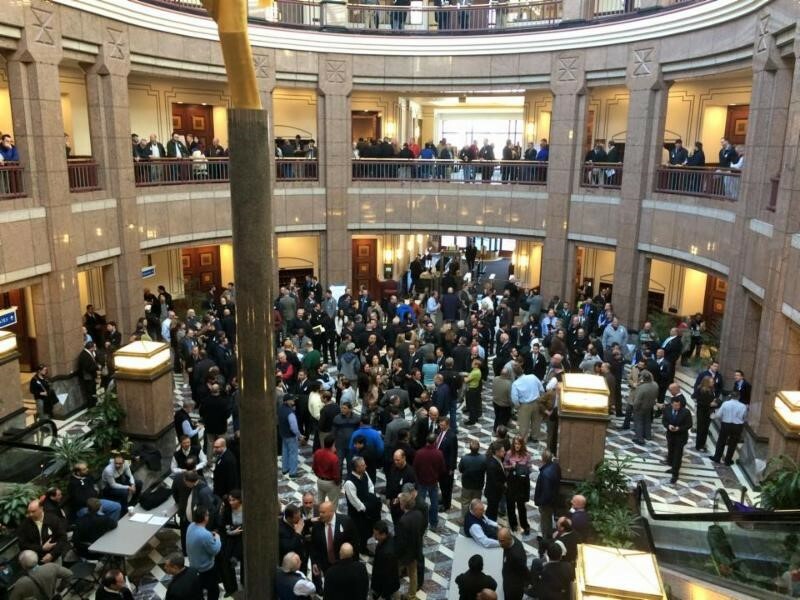 Last week your Connecticut legislators went back to work in Hartford. We’ll soon be contacting you about how to encourage them to pass high-priority legislation to improve and protect your environment. (If you missed our legislative agenda, check it out here.) 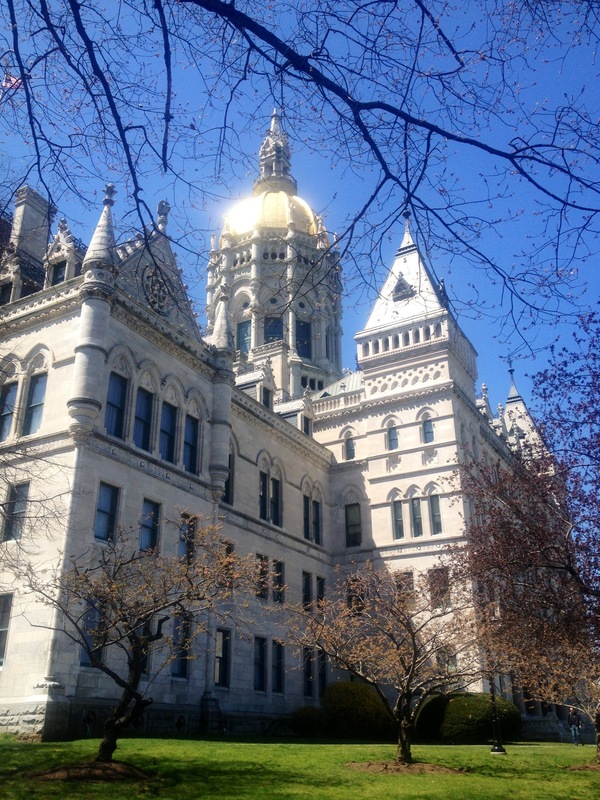 This post will give you an insider’s look at the legislative process in Connecticut and help you be more effective when reaching out to your state legislators. State Senators and Representatives: There are 36 state senators; each represents about 100,000 people in their district. There are 151 representatives; each represents about 22,000 people in their district. Connecticut representatives and senators are elected during even-numbered years and serve two-year terms with no term limits. Find your senator and rep here. 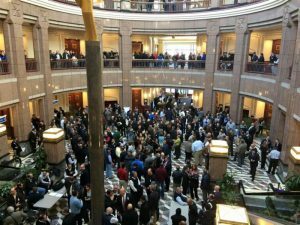 Legislative Session: Connecticut has a part-time legislature, which means lawmakers are not in Hartford all year long (though you can reach out to them anytime!). Odd-numbered years are “long sessions” (January to June) and focus on passing the state budget. In even-numbered years, the session runs from February to May, the “short session,” and makes budget adjustments. During the first half of each session, the House and Senate usually only meet one day a week, but daily near the end of session. The rest of the time, your reps attend committee meetings and public hearings. Committees: There are 26 committees, and many of them—ranging from Energy & Technology to Transportation to Public Health to Environment—deal with environmental issues. The committees hold public hearings, listen to testimony, refine bills, and send legislation on to the full General Assembly for a final vote. See all committees and members here. Legislators know they are public servants, but you need to let them know what you want them to do. They are constantly bombarded with information and pressure from lobbyists and special interest groups but when they hear from constituents—especially many about the same subject—they not only listen, they will act. CFE/Save the Sound attorneys and advocates closely monitor legislation from the committee level all the way to the governor’s desk. Along the way, we collaborate with agencies, lawmakers, and fellow nonprofits to help create and shape legislation to protect your environment. We also go on the defensive to protect rollbacks of good environmental policies and laws already in place. As we work on each bill, we will share information with you via email, often with a form you can use to send a message directly to your legislators with all the necessary details of why they should support or oppose the legislation. We try to use simple language for legislators to quickly understand the issue and recognize your position as a constituent. A helpful tip is that it’s always important to personalize form letters if you can—this helps your legislators understand what’s truly important to you and why. Test it out with this first advocacy letter of the season about energy efficiency and clean energy funds! 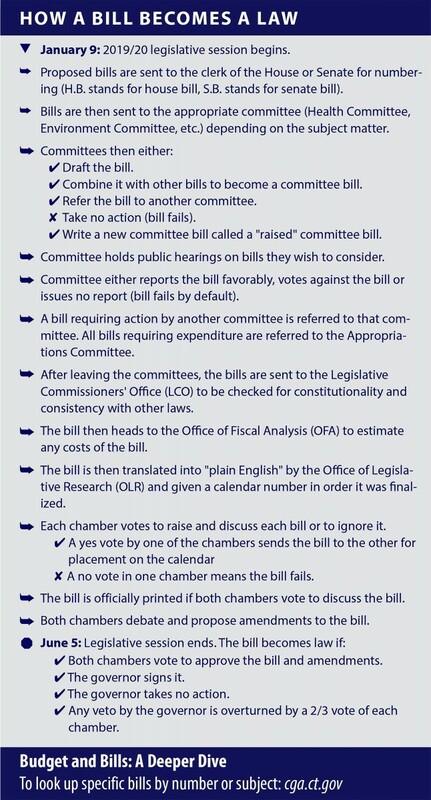 We will also keep you posted about important committee hearings where you can testify in person or walk you through how to send in testimony on specific bills. It’s advocates like you that help shape future environmental law in Connecticut. Action Alerts: Care most about wildlife? Drinking water? Climate change? Make sure you’re signed up for all the issues important to you on our action alert page. We’ll notify you when something important is happening in your area or on the subjects of your choice! And follow us on social media, where we often post requests for help with legislative emergencies session. Click here for Connecticut Fund for the Environment’s Facebook and Twitter, here for Save the Sound’s Facebook and Twitter, and here for our Instagram. Volunteering: Want to do more than send an email to your reps? Maybe you like to help remove invasive species. Or you have a knack for finding all the trash on your favorite beach. Or maybe you’d like to get out and collect water samples. There’s something for everyone on our volunteer page! Donations: Maybe you don’t have much time in your busy life to contact legislators and can’t get to our volunteer events but you still want to make a difference. You can always make a contribution to help protect Connecticut’s air, land, and water. Every little bit helps and membership starts at only $25/year! Share this post with a friend or on Facebook!